2. 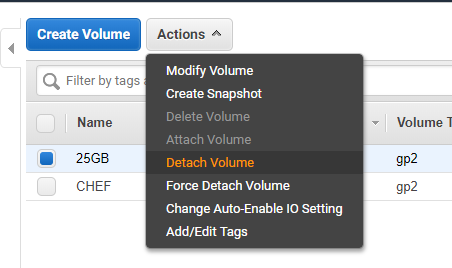 Select the volume attached to this instance and detach it. 3. 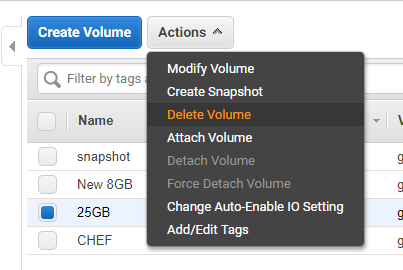 Select the detached volume and create a snapshot. 4. 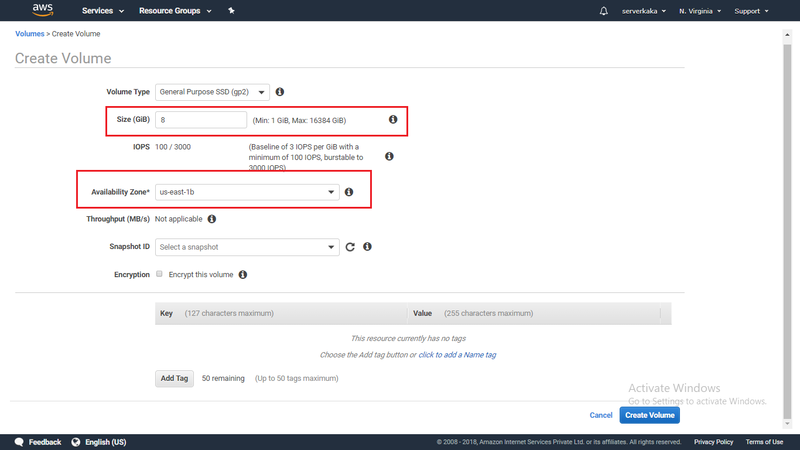 Create a new volume in the same availability zone of your instance of the preferred size. This volume will eventually replace your current volume. 5. 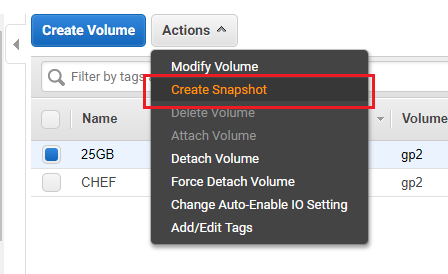 Create another new volume from a snapshot which has been we have created in Step 3. Make sure you need to create in same availability zone. So finally we have 3 volume now. one is the original volume, the second one is new created (reduce size) volume and, the third one is created from a snapshot. 6. Now Reattach the three volumes to an instance as described below. 9. 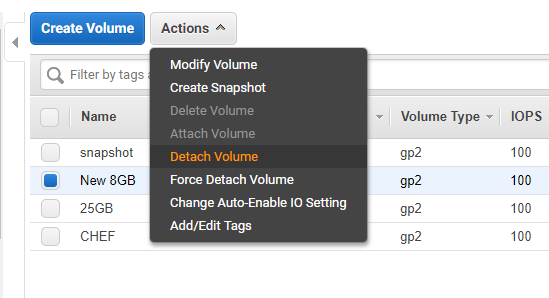 Create mount points for snapshot, new volume and mount them using below commands. 10. 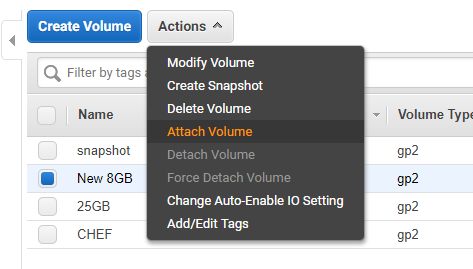 Find the filesystem label of the original volume, so as to change the same for a new volume. 11. Set this as the label for the new volume. 12. 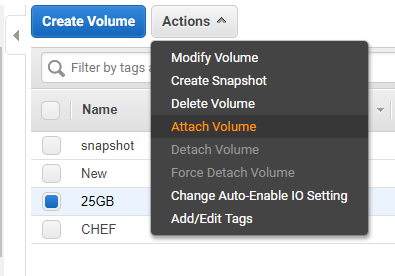 Now, copy all data from the snapshot to new volume using rsync command. It takes while depends on your data size. 16. Change UUID insert below command. /dev/xvda1: LABEL="cloudimg-rootfs" UUID="bbf64c6d-bc15-4ae0-aa4c-608fd9820d95" TYPE="ext4" PARTUUID="9f3e4931-01"
Change <uuid> with real UUID. 18. Notes: if tune2fs fails to change the UUID, you may need to unset uninit_bg flag* on the new volume, before trying the same command again. and also repeat Step 17. 22. Start the instance and check. 23. if all things are good, then delete remaining two EBS volumes, which are no need more. Also, delete snapshot which we have taken in Step 3.